Please note: These logos are trademarked and may not be reproduced without permission. Congregations of the Reformed Church in America are permitted to use the logos below for congregational purposes, but the logos may not be altered in any way. The logo of the Reformed Church in America depicts the cross and the body of Christ. The cross points to Jesus—the one whose life reveals the love of God and whose Spirit brings hope of life over death. The human figure symbolizes the body of Christ—a diverse and inclusive community of believers growing in faith and witnessing to the gospel in word and deed. The graceful, outstretched arms suggest growth and optimism. The subtle intersection of cross and figure suggests the covenant promise made by Jesus before his ascension. The preferred color for the logo is green—the liturgical color for the seasons of Epiphany and Pentecost—which symbolizes growth and mission. The specific color is PMS 376 green. The logo can also be used in black for newspaper advertising and other one-color applications. Letterhead, envelopes, and business cards can be purchased through RCA Communication and Production Services, 616-698-7071, ext. 1887, or kmiller@rca.org. A leaf takes center stage in the Transformed & Transforming logo, symbolizing the new life that comes from transformation in Christ. A burst of light suggests mission and sharing God's light with the world, and rippling water represents the lasting impact of leadership development. 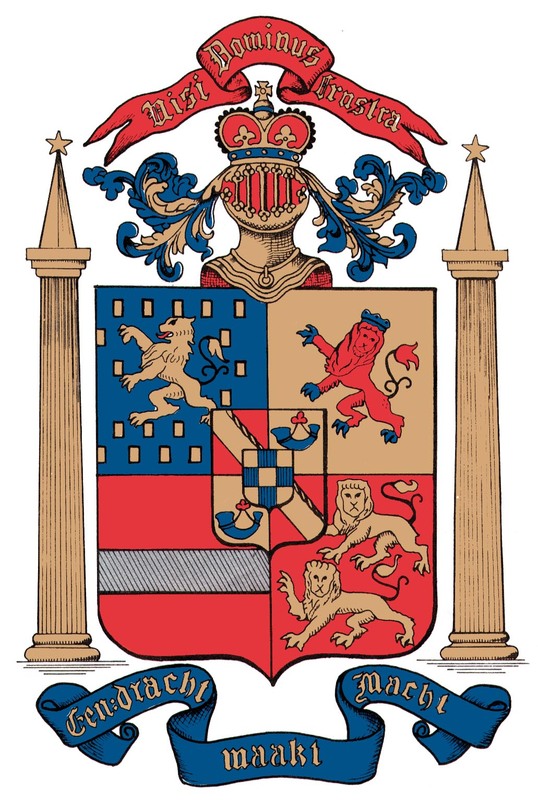 The crest of the Reformed Church in America is an adaptation of the coat of arms of William the Silent, prince of Orange, to whom the Netherlands owes its civil and religious independence. 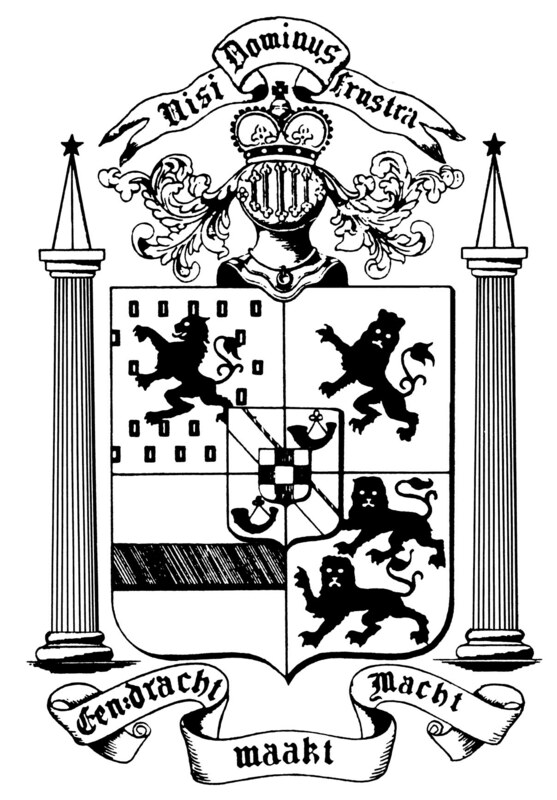 When the Reformed Church adapted the crest, it added two mottos: Nisi Dominus Frustra, which translates, "Without the Lord all is in vain," and Eendracht maakt Macht, which translates, "In unity there is strength." For access to previous logos that are no longer in use, please contact the RCA Archives at 732-246-1779 or rgasero@rca.org.